The Wheeler-Beecher House, sometimes referred to as the Hoadley House, is located on Amity Road in Bethany. Built at the start of the 19th century for Darius Beecher—a wealthy farmer and architect—it serves not only as an outstanding example of Colonial architecture but also of renowned architect David Hoadley’s work. Hoadley, born in Waterbury in 1774, was the third of nine children in his family. His father, a blacksmith, made a very modest living. Consequently, David received little schooling and apprenticed himself to a carpenter at an early age. A self-taught architect, his first real break came with the chance to contribute to the design of the Congregational and Episcopal churches in Waterbury. The recognition he received from the completion of these designs launched his successful career in architecture. Among his more famous designs was the mansion built in Waterbury in 1800 for Colonel William Leavenworth. 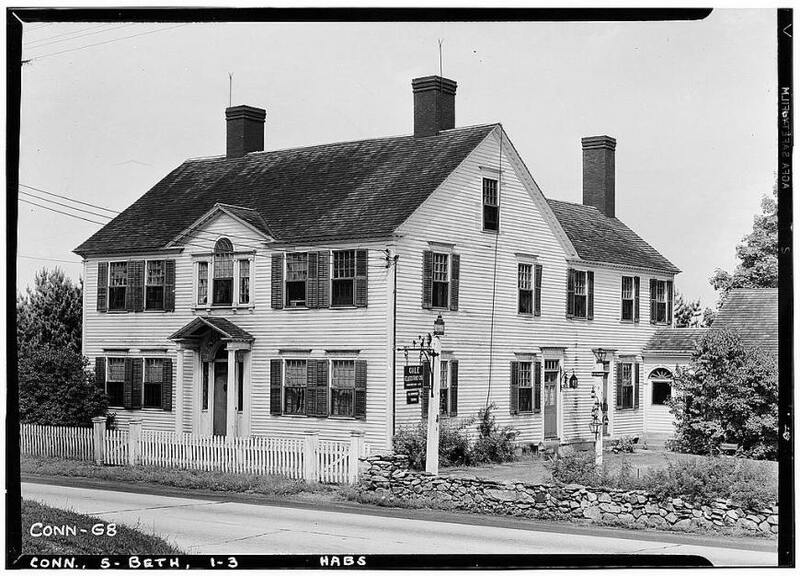 Additionally, he designed and built the Judge William Bristol House between 1800 and 1802. (Its doorway is preserved in the Metropolitan Museum of Art.) He built another Bethany landmark, the Christ Episcopal Church, in 1810 before a series of health crises brought about a poverty-stricken death in 1839. A typical example of Hoadley’s work, the Wheeler-Beecher house is 2-½ stories high, with a stone foundation, clapboard exterior, and wood-shingled roof. The front door has tall, fluted pillars and an arched entranceway, with a mantel and detail work that exemplifies the Colonial style. 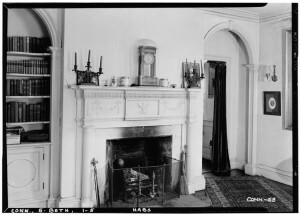 The house also contains 10 fireplaces and a large second-floor ballroom used for social affairs, church gatherings, town meetings, and meetings of the local Masonic Lodge. After Darius Beecher moved West, the house served as the home to Abraham Beecher (no relation), then Lewis Thomas, before becoming the home of Orrin Wheeler, whose family kept it until 1899. By 1940 it was home to Huntington Lee and his sister and served as the headquarters of the Gale Electric Company. Having exhausted its usefulness as a residence, the Wheeler-Beecher took on new life as a historic structure when it received a listing on the National Register of Historic Places in 1976. Additionally, a 1982 dig by the Greater New Haven Archaeological Society on the Wheeler-Beecher grounds uncovered more than 1,000 utensils, animal bones, thimbles, buttons, and other artifacts that made significant contributions to scholarship on life in colonial Connecticut.